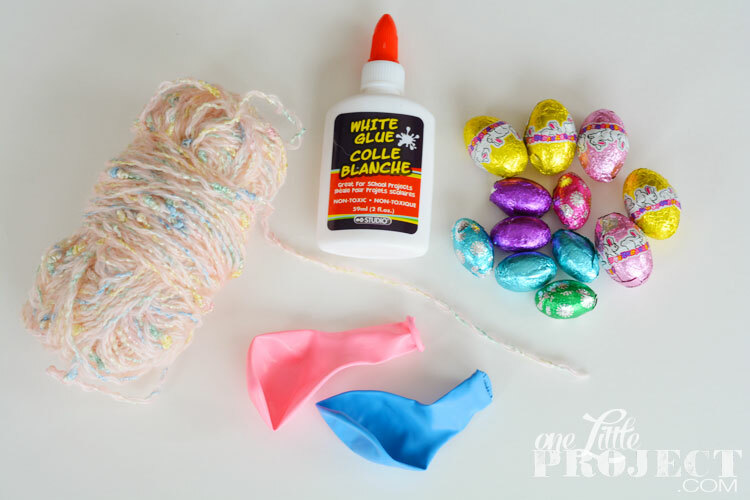 Here’s a tutorial for an awesome Easter craft to do with your kids (or for your kids…) this year. 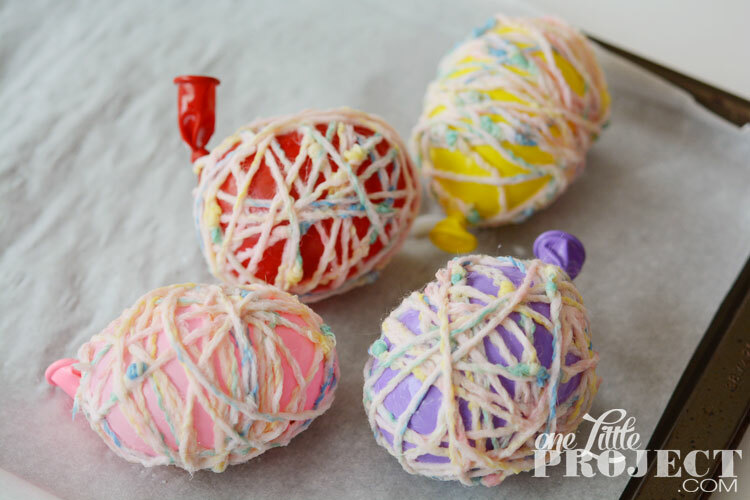 These yarn eggs with treats hidden inside are a fun way to decorate your Easter table! They do take some time to make, and you have to leave yourself at least a day for the glue to dry, but once it does, it’s such a fun effect! I used regular 9″ balloons for this. Smaller ones probably would have been better but I couldn’t find any. The white glue came from the dollar store. And the yarn used to be my mom’s from way back in the day. I’m pretty sure there is a matching pink speckled sweater to go with this that she knit in 1987. 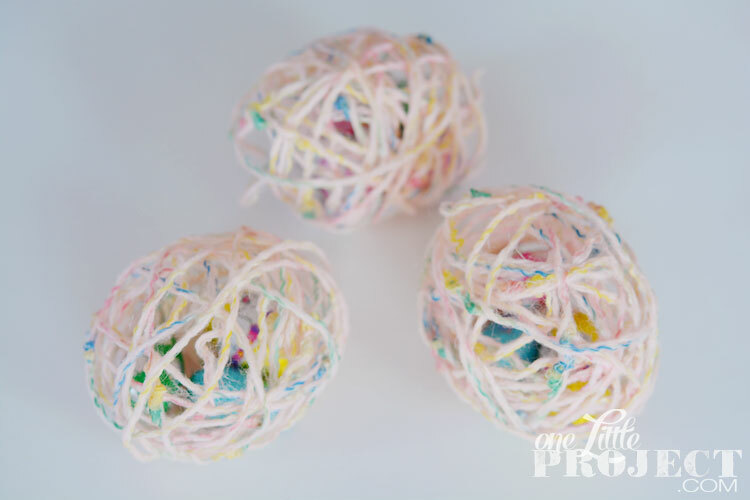 What better way to use out of date yarn than with a fun craft!? 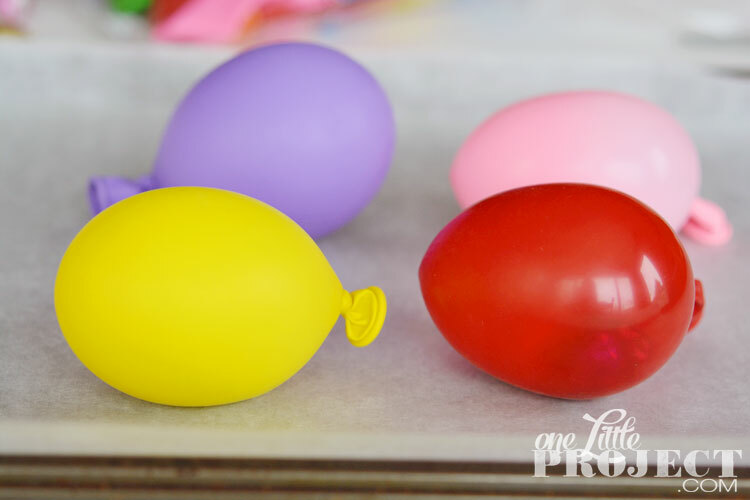 Squeeze your fingers into the opening of the balloon, stretch it out, and drop in some foil covered eggs. 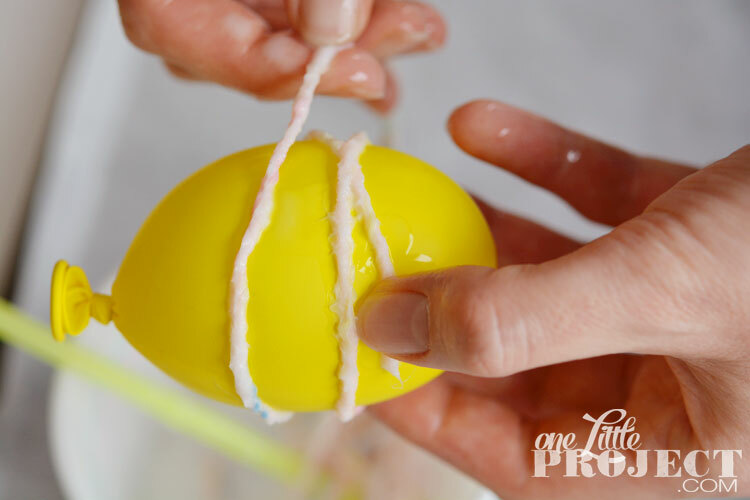 You can do this by yourself, but it’s a lot easier if you have someone helping you drop in the chocolate eggs so your fingers can hold open the end. 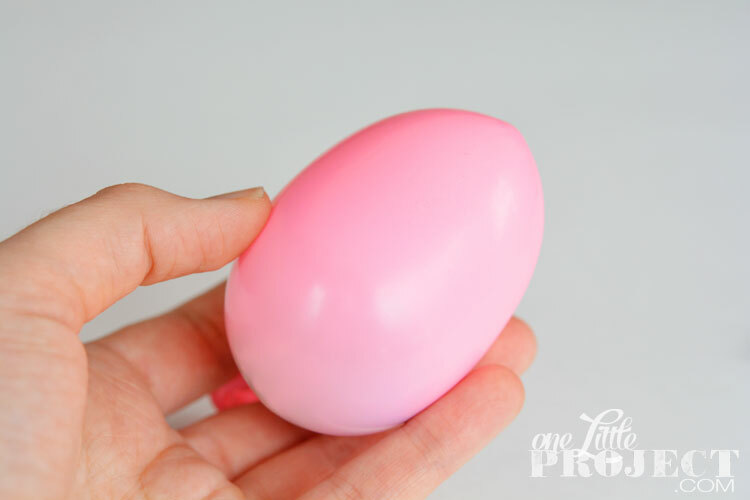 Blow up the balloon until it’s about the size of an egg. 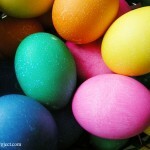 Mine were slightly larger than an actual egg. It’s hard to get the balloon to be so small without it looking all warped. Even here, if you look closely, you can see that the knot on the balloon is off to the side at the back and not directly at the bottom. That wasn’t on purpose, it was just the way the balloon blew up when I was only putting a small amount of air into it. 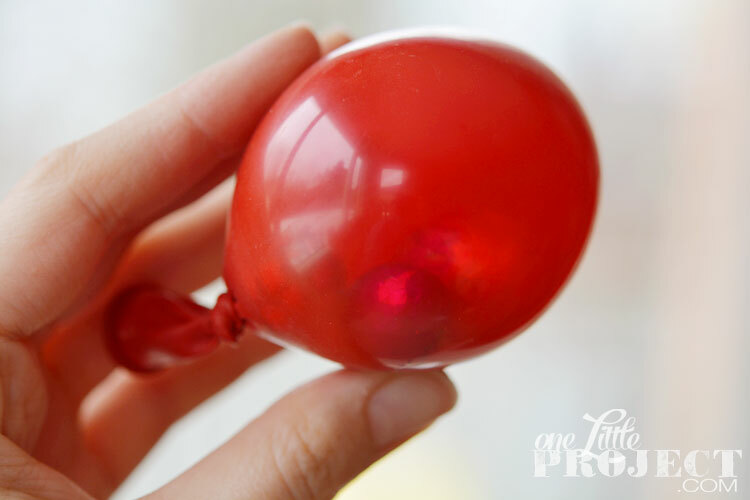 You can really see the foil covered eggs through this red balloon! Fun, don’t you think? Blow up as many balloons as you plan to cover. Don’t worry if the knot is in a funny spot. You can see that not all of mine were perfect, but it really doesn’t matter once you start to cover the balloon with yarn. 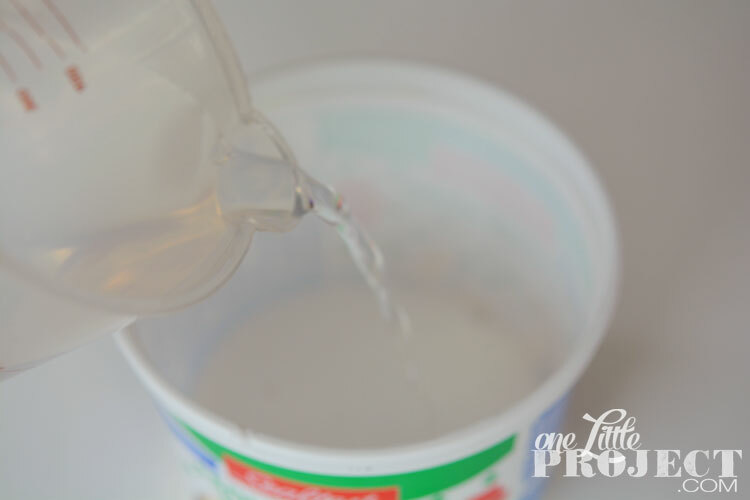 Take a bottle of glue, and pour a generous amount into an old sour cream container (or something). I used the entire small dollar store glue bottle which was 2 fluid ounces. Add an equal amount of water. Perhaps just a little less than an equal amount of water. 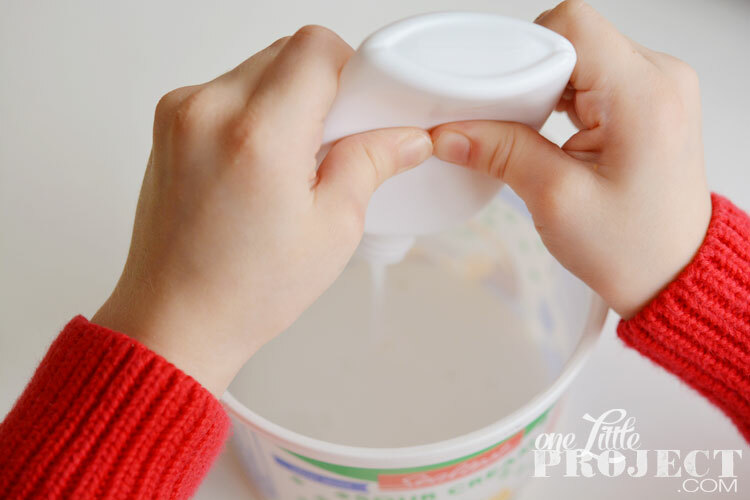 You want the yarn to stay stiff after it dries. 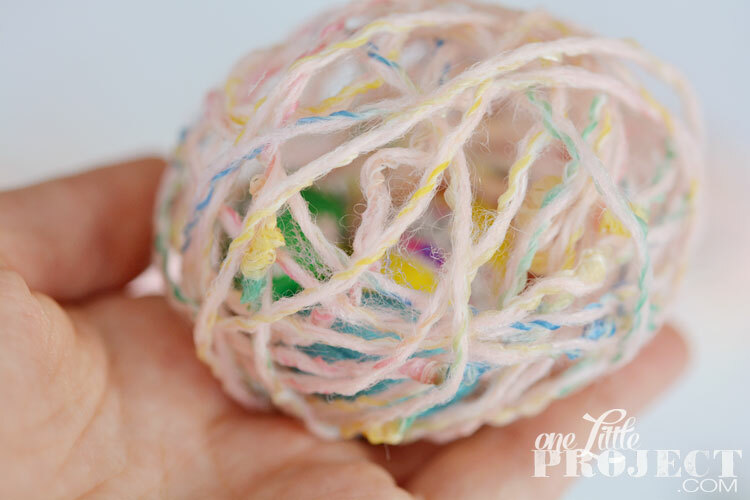 Don’t cut out a really long piece of yarn and put it in the glue. You will never find the end again. Trust me. Instead, cut out pieces of yarn, about 3 ft long and have each one ready to go. 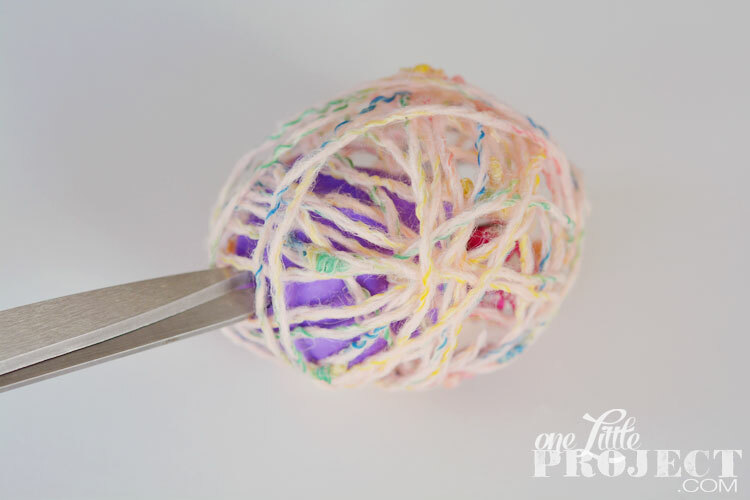 Then soak each piece of yarn in the glue, being careful not to lose the end. 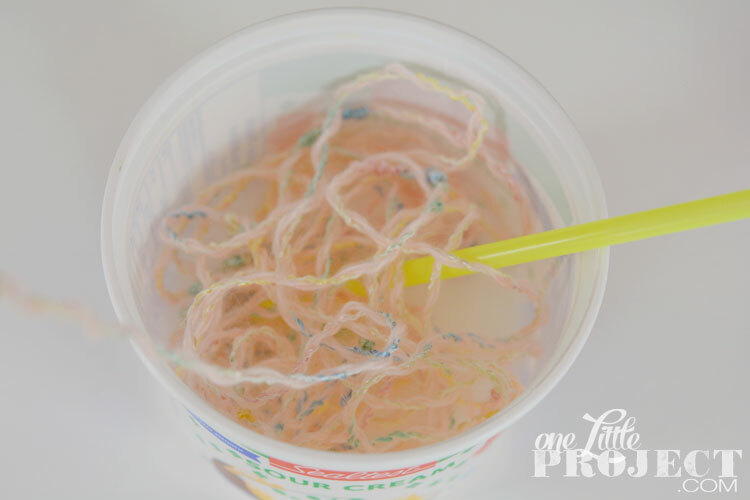 I used a straw to help get the yarn saturated. 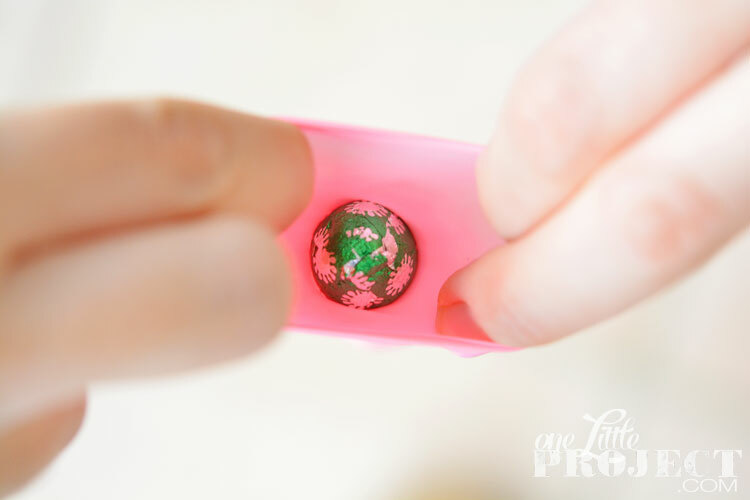 Set them out on a sheet of parchment paper (or wax paper) and allow to dry for at least 24 hours. 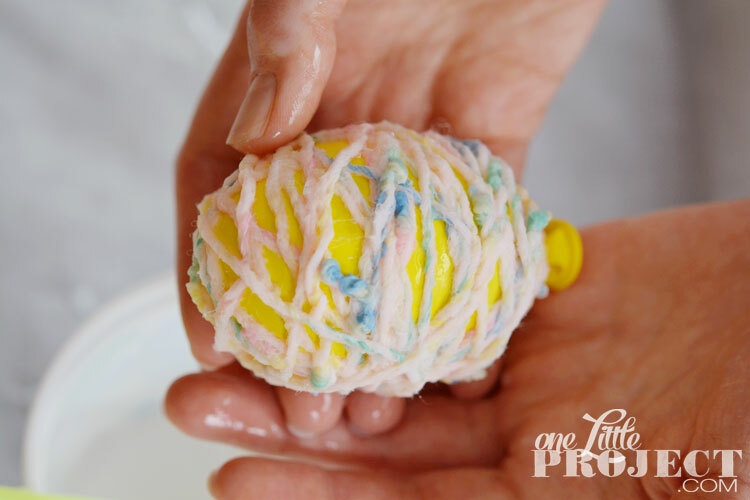 The yarn is soaking wet, so unfortunately you will have to wait for them to dry completely or the eggs could lose their shape. 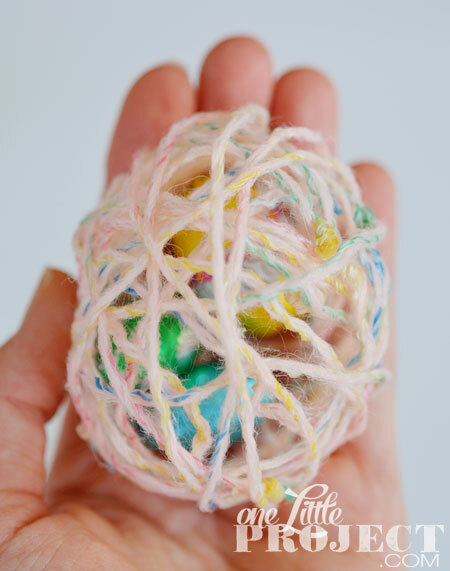 Once you are satisfied that the yarn is dry, try to loosen the balloon from the yarn. 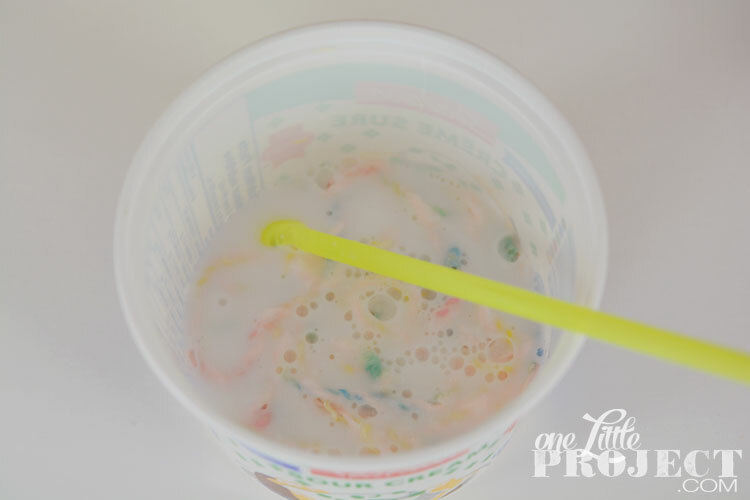 You can use the back of a spoon, or a straw, but you’ll want to try to loosen it, at least a little bit, otherwise, when you pop the balloon the yarn might collapse with the balloon. 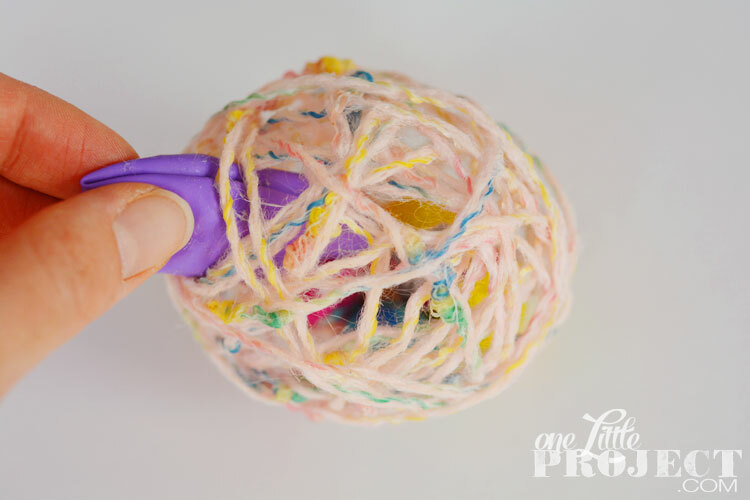 Pull the balloon out through the holes between the yarn pieces. If you have to move some yarn to the side to get the balloon out, it’s not the end of the world. You can just put the yarn back in position once the balloon is out. And there you have it! I love that the chocolate eggs are hidden inside! 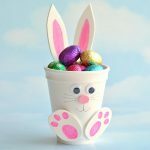 These would be so fun on an Easter table for all of the kids You probably don’t want to be making dozens of them, because they do take a fair bit of time, but if there are only a few kids, then it’s perfect! 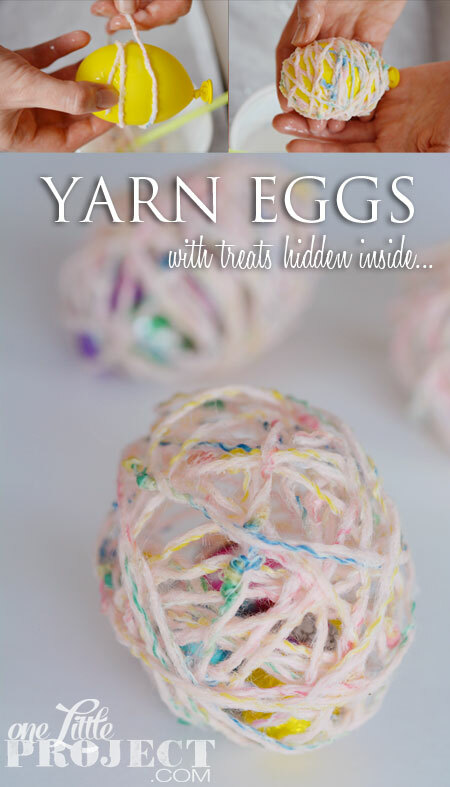 These super fun yarn eggs with treats hidden inside take about 15 minutes each to make. The more you make the faster you’ll get, but they do take a little bit of effort. 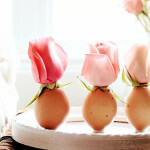 Make these to add to your Easter table, or even your breakfast table on Easter. 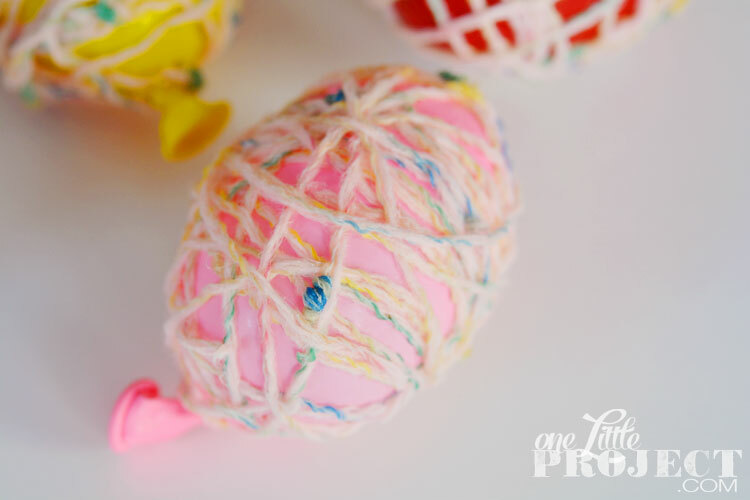 The yarn hardens over the balloon and the chocolate treats stay neatly inside! 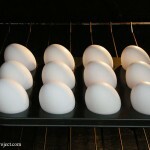 So, how do oven baked Easter eggs turn out? Epic fail for us! Maybe we squeezed out too much of the glue. Maybe we used too heavy yarn. I know to never use water balloons to put your candy in. Perfect size but the candy doesn’t fit. We went and purchased thinner, practically embroidery floss, yarn. Got bigger balloons. We will try again on Thursday with one of my Grand Girls. I have all 6 this weekend and they all want to make these. So glad I tried a dry run. lol Wish me luck!! These definitely work, but after a few experiments, I find it works best if you use white glue without watering it down. I’ve also heard that mod podge makes them super strong.